Entrance Vestibule, bright airy Lounge, beautifully appointed fitted Kitchen with various appliances. (First Floor) Hall, two Double bedrooms and Bathroom with white suite and fitted shower. Gardens to front and rear. Driveway for a few cars. Garden Shed and Bike shed. 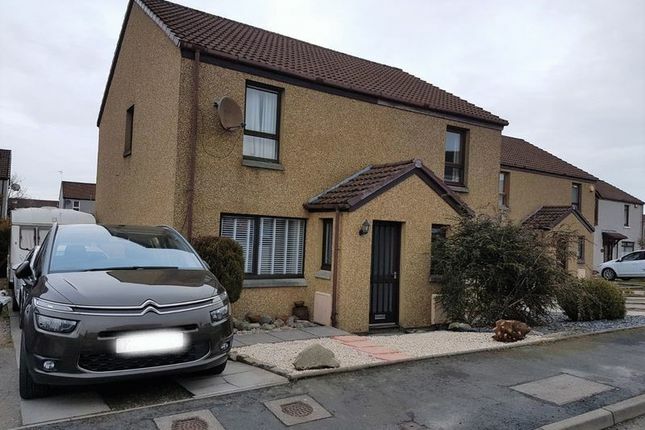 This well-proportioned two bed semi detached villa is in excellent order, represents excellent value for money and affords the opportunity to move in with the minimum of inconvenience with the property being situated in a popular established residential development. The property is of fresh decorative appearance and also enjoys the benefits of Storage Heating, Double Glazing and a beautifully appointed fitted Kitchen with white goods. Bathroom with full suite and fitted shower. Laminate flooring and other floor finishes, curtains, blinds and light fitments included. Bridge of Don is a popular suburb of Aberdeen. Linked to the City with good commuter roads. The area is well served by local shopping facilities including an Asda Superstore at Bridge of Don and Tesco Superstore at Danestone, everyday shops, primary and secondary schools and a wide range of local recreational attractions. The location also offers easy accessible to most parts of Aberdeen City and is particularly convenient for the Airport and the oil related offices at Bridge of Don and Dyce. From the Haudagain Roundabout turn off towards Mugiemoss Road and continue to the first roundabout before taking the right over the bridge and continuing on at the next roundabout on to the Parkway. At the next roundabout turn left and at the t-junction take a left again and travel for some distance before turning left on to Lee Crescent. Follow the road round to the fifth road on the left leading to Lee Crescent North, the property is on the right opposite just past the next junction. vestibule: Vestibule with hardwood exterior door, meter cupboard, small window with blind, coat hooks, laminate flooring. 18’6” x 12’8” approx. 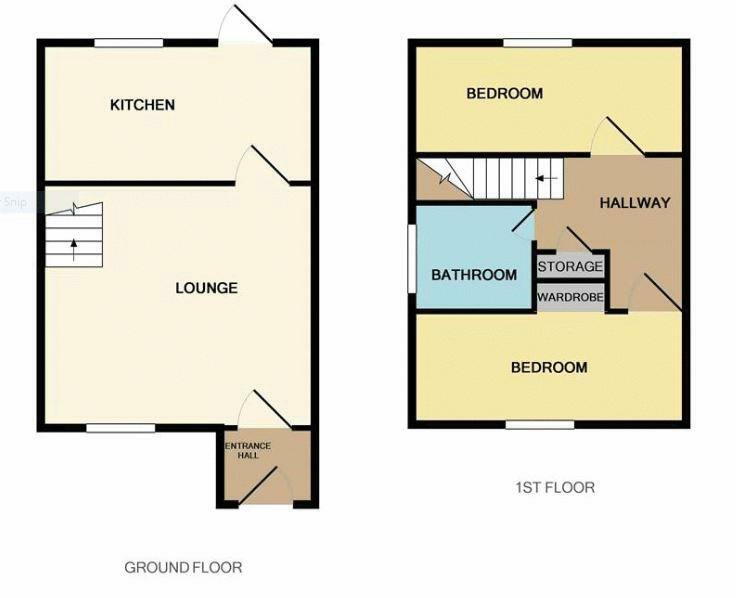 Nicely proportioned bright airy Lounge with stairway open to upper floor, central light fitment, under stair storage cupboard, laminate flooring, stainless steel curtain pole, white wooden blind, TV point and dining space if required. 12’8” x 8’6” approx. Newly upgraded kitchen with breakfast bar and an extensive range of base and wall units with high gloss black and white doors and trims with stainless steel handles and co-ordinating work surfaces with tiling above, sink and drainer with mixer tap, fitting for plumbing in automatic washing machine and dishwasher. Cooker, washing machine, dishwasher, fridge/freezer, tumble dryer and plinth heater included. Ceiling spot light fitment. The room is completed with tiled flooring, window with white blind overlooking the rear garden and an exterior door to garden. Hall with storage cupboard and access hatch to loft with ladder, smoke alarm. 12’10” x 8’4” approx. Double Bedroom to rear with airing/linen cupboard/wardrobe, curtain pole and laminate flooring. 12’10 x 8’4” approx. Double Bedroom to front with curtain pole and open wardrobe. Bathroom: 6'2" x 5' approx. With full suite, ceramic floor tiles, electric shower over bath, usual small fitments. Loft: Insulated and part floored. front garden: Garden to front laid out with decorative stones. Driveway to side providing parking for a few cars and access to rear garden. Garden to rear is fenced, islaid out with paved patio, bushes/trees, lawn, decorative stones and has a garden shed and bike shed.